commented on "The Hallett area with the backdrop of the magnificent Razorbacks and Mt Bryan has an undeniable spiritual quality- the feng shui ..."
The Hallett area with the backdrop of the magnificent Razorbacks and Mt Bryan has an undeniable spiritual quality- the feng shui perhaps, and beautiful bore water for the gardens. I have always been fascinated by the healing properties of Labyrinths, now used in many hospitals. 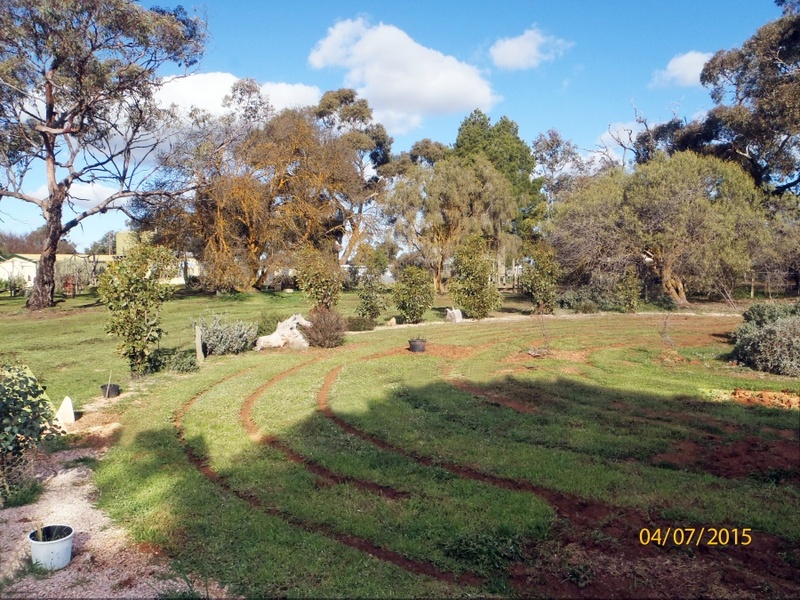 One of my favourite exercises has been to build labyrinths, my first being with Helen Lyons at Hans Heysen's magnificent old home in the Cedars, Hahndorf. Later I built one in the Bundaleer Forest, Jamestown, for the famous Bundaleer Weekend, now sadly ceased with our governments short sighted funding cutbacks. So I have been gradually constructing one here at our gallery in Hallett. The etched out grounds are drawn from our magnificent Indigenous rock art that travels throughout the Ululoo/ Ketchowla/Franklin/Pitcairn areas,this has been estimated at 44,000 years old.